These cookies sound delicious! Pinned! Thank you so much Melissa. They are sooo yummy and easy! 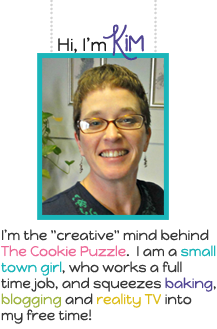 Thank you so much...heading to your blog now to link up and add your party to my party page. Looks tasty! the spring chocolate chips are a nice touch. Thanks for sharing at #smallvictoriessundaylinky ! 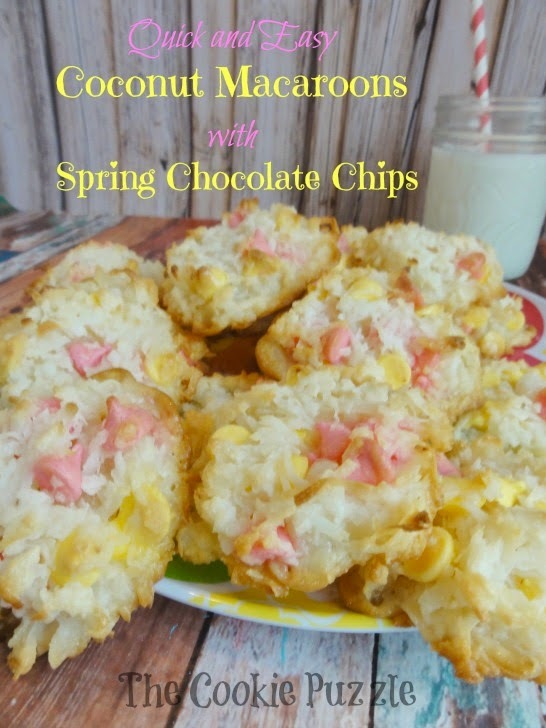 These look springy and yummy!! Pinning it!! Would love for you to link it up on my party! 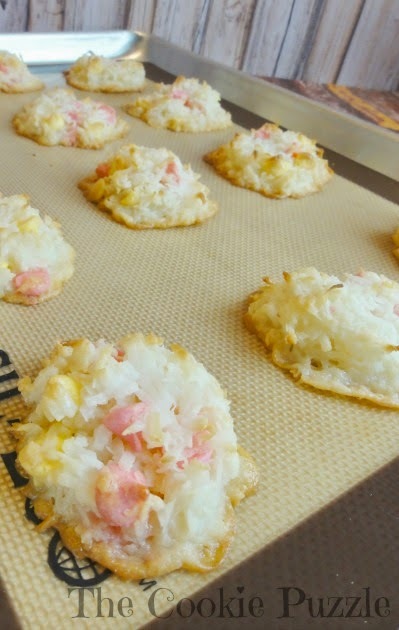 We just love coconut macaroons. This looks like such an easy yummy recipe to try. pinned. found at project pin it. Have a great weekend. 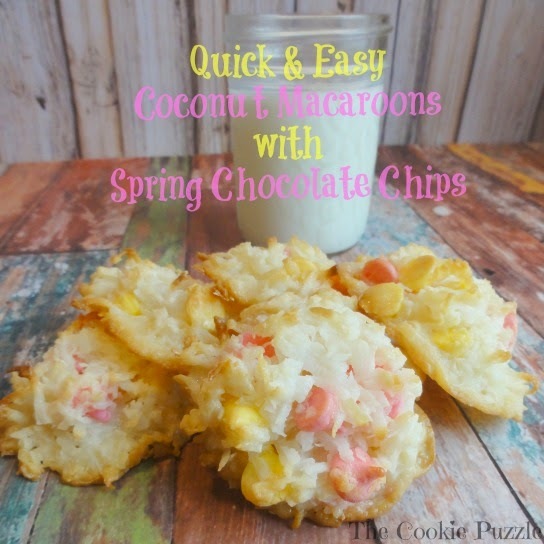 I just love coconut macaroons, but have never made them. They are so cute with the colorful chocolate chips. Thanks for sharing on our #theWeekendSocial linky. Please come back next week and share some more! I've pinned your link as well.